Hi friends! Happy Friday! It was a short week for me because I was off of work for the first half of the week. It's funny how time flies faster when you've only got to work 3 out of the 5 days of the week! Anyway, today I have a Jamberry nail lacquer for you. As you probably know, I am not a fan of the Jamberry wraps. I have tried them a few times and they are just not for me. Nothing's better to me than a traditional polish or even polish strips. I can't get over the "vinyl" part of the wrap. My friend was having a FB Jamberry party and I discovered the nail lacquer at the very last second. Of course the color I chose was a mint shade. I've finally gotten around to trying it so scroll on down to hear my VERY honest thoughts on this! So each nail lacquer comes packaged in a cute little box (if you're into that sorta thing) and each bottle of nail lacquer is 0.4 fl oz. In comparison, a China Glaze polish is 0.4 fl oz. I do like the round bottles. That part doesn't bother me. I did keep the box for easier storage in my nail drawers. So here it is!!! The formula for this polish was super creamy. I will say it's a bit on the thicker side, but very easy to apply. It could possibly be a 1-coater but I decided to use 2 thin coats. Dry time was pretty good and the swatches below have a layer of top coat. I really do love this shade. It's a bit lighter in natural daylight, but overall I am very pleased. Now, here is where I get all technical and stuff on you. These bottles are $15 a pop. Yes, even to me that's a bit pricey for a shade/polish that I could get elsewhere and for a lot less money. However, IF you are invited to a Jamberry party and already know that you don't want to buy wraps but still want to support the host/hostess, please consider the nail lacquer. 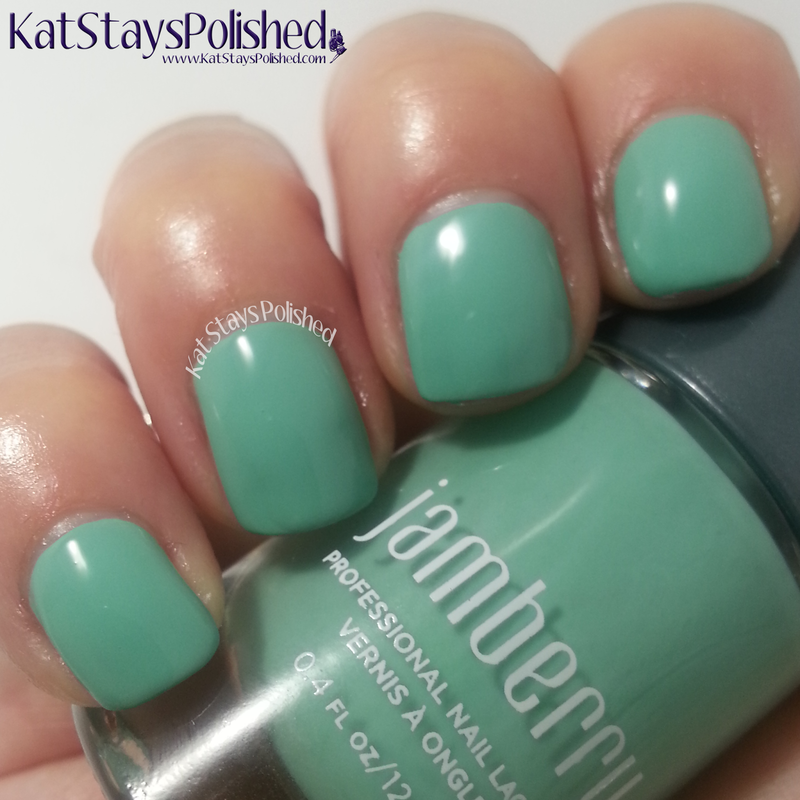 Click HERE for all their nail lacquer shades. 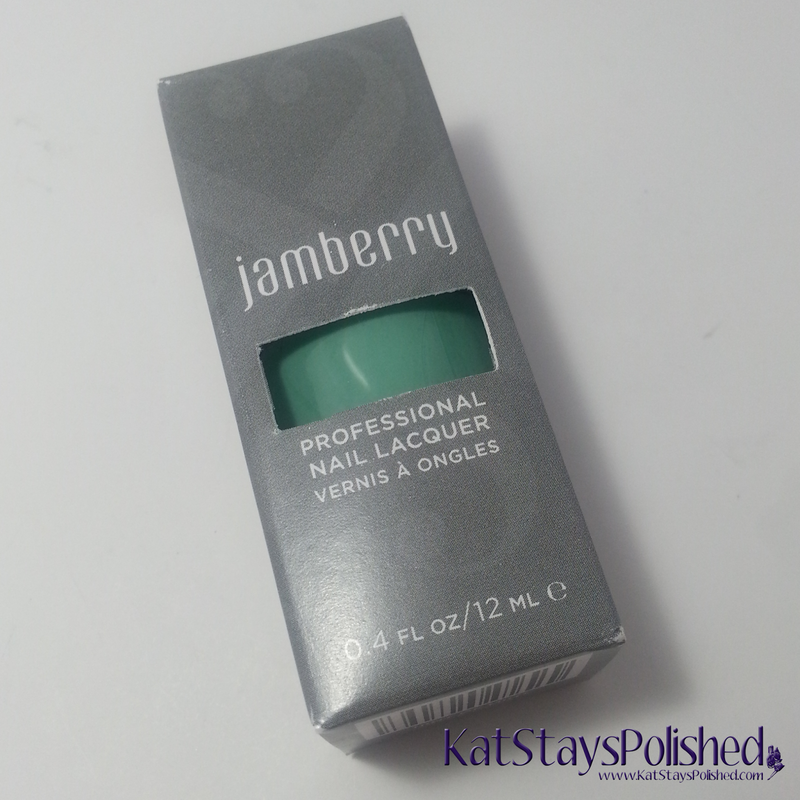 Jamberry also offers a base coat, top coat, and even a matte top coat if you're interested. You'd think I was selling this stuff, haha. Okay all, let me know what you think! Does this change your thoughts on Jamberry? Now I know that I am not restricted to JUST wraps when I see an invite to a party. I can at least fulfill my love for polish by simply purchasing a bottle of their nail lacquer. *Product purchased by me. Consultant links provided in post. All opinions are 100% my own. I like the color but the price is a bit high for me personally.